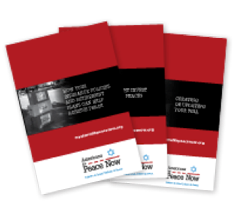 Americans for Peace Now works to bolster support for peace between Israel, the Palestinians, and Arab states in order to enhance Israel’s security and to bring stability to the Middle East, and to provide support for Israel’s grassroots peace movement, Shalom Achshav (Peace Now). We focus on driving American public opinion – with an emphasis on the American Jewish community – to back efforts to promote peace for Israel. We also educate Members of Congress and Administration officials by providing information and perspectives often not otherwise heard in Washington, DC. 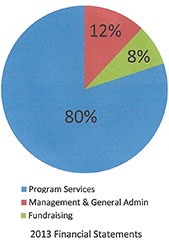 Support for Shalom Achshav and its Settlement Watch project. Realizing that peace for Israel depends on American diplomatic engagement, we empower and mobilize Americans to back peace efforts. We focus our efforts on educating Washington policy makers and policy shapers. 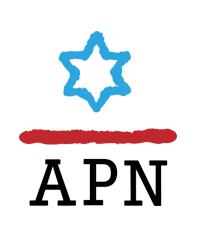 Using high-tech tools and effective social media outreach, APN engages a new generation of American Jews who are not otherwise involved in the community. Our message combines a love for Israel with a genuine commitment to peace. Through our intimate partnership with Shalom Achshav, APN also offers this new generation a way to connect with Israelis who share their values. APN knows that settlements matter. Expansion of Israeli settlements in the West Bank is destructive to the credibility of peace negotiations and to the viability of the two-state solution. With this foresight, APN and Shalom Achshav have developed a singular expertise on the issue. And we are finding new, innovative ways to empower people to act on this issue.